According to reports, the tablet, which had originally been made by Kayqubad I, who reigned from 1,220 to 1,237, had been lost for the past 94 years. The artifact was discovered by a researcher inside the walls of a house located in Antalya's historic Kaleiçi district, which is home to structures from the Byzantine, Roman, Seljuk and Ottoman periods. Researcher Necmi Atik told Anadolu Agency that he will notify Antalya Provincial Cultural Directorate about his finding. He noted that the last time the tablet was spotted was in 1924. The tablet, engraved on a marble stone is 170 centimeters in length and 120 centimeters in width, Atik said. "The tablet shares all the characteristics of others in the same line," Atik said, adding that he thinks the tablet is located on the same route as tablet no.2 and expects to find other lost tablets soon. 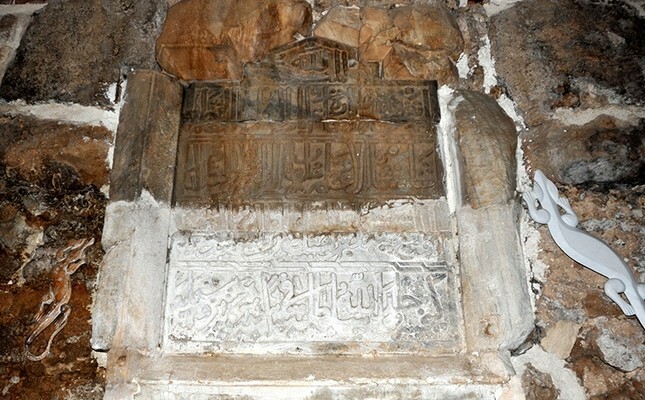 Meanwhile, Professor Zekeriya Şimşir from Necmettin Erbakan University, who worked as a member of the Antalya Regional Directorate for Protection of Cultural Assets noted that the tablet was written as five lines of verses and is extremely valuable as it reflects the calligraphic development of the period. He highlighted that if the structure in which the tablet was found has not been registered yet and needs to be registered by Antalya Regional Directorate for Protection of Cultural Assets. He suggested that the house should also be expropriated and the restoration and maintenance works of the artifact need to be made by the relevant institution and experts. The Sultanate of Rum was a Turko-Persian Sunni Muslim state established by the Turkic Seljuk Empire in parts of Anatolia conquered from the Byzantine Empire. The sultanate controlled central Anatolia from the Mediterranean port of Antalya to the Black Sea port of Sinop until its disintegration in 1308.